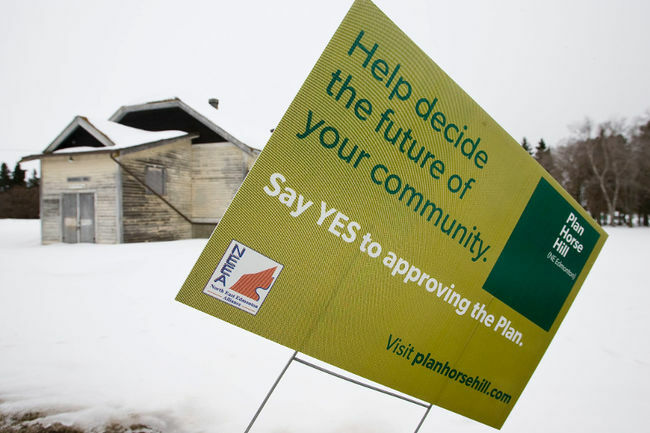 The plan, which was drawn up by Stantec, calls for the construction of predominately high-density housing, with 27,600 dwelling units being proposed to house a population of 71,000 new Edmontonians in five new neighbourhoods. Opponents to the Horse Hill ASP argue that the development will impair the existing agricultural growers and farmers in the area who supply Edmonton with much of its locally grown produce. Debbie Hubbard sits as the co-chair of the local food team with the Greater Edmonton Alliance (GEA). While the GEA is not directly opposed to the idea of growth in northeast Edmonton, Hubbard says the group has asked the city do gather better information before making a decision. “We’re not against the ASP because we know development has to happen. What we’re against is not gathering good information,” says Hubbard. With the resurgence of the Live Local movement in Edmonton, more and more families are buying locally grown produce from farmers’ markets.Hubbard says the GEA hosted a “Farming in the City” bus tour in August which sold out with over 450 people attending. “The demand is growing in every area: there are farmer’s markets that can’t get foods and vegetables that are local,” says Hubbard. Sharon Stepanick, is a second generation family farmer. It was her father who originally opened the Brenneis Market Gardens Inc. in the early 1960s before she and and her husband Glen bought and took over the family farm in 1992. Since then, the just shy of 80-acre lot was sold to Sharon’s nephew in 2004, ensuring three generations of farming in the family. Stepanick says she and her family have known about the eventual development for over 30 years. Two years ago, Sharon and her husband bought a 77-acre plot of land in the Namao region. They still own a 4.77- acre lot in the Horse Hills region, which has six greenhouses on the land. Stepanick is hopeful the Horse Hill ASP goes through and her land is redeveloped so they can relocate their greenhouses and other equipment to their new farm. “I have taken the plunge, I have purchased my property so I can relocate. I just need my other property to sell so I can finish relocating,” says Stepanick. “We knew this was coming, and we’ve been proactive. “They (other farmers) are standing tall and sticking their feet in the ground and they are sobbing but you know what, be proactive. That’s what we’ve done and I don’t want to be punished for that. One of the main issues opponents to the Horse Hill ASP cite is a provincial road that is currently positioned to run directly through Riverbend Gardens — a 120-acre area of land that provides more than 20 different kinds of produce which is sold year-round at the Old Strathcona Farmers’ Market as well as seasonally at six other area markets. However, city councillors claim the construction and placement of the road is out of their hands and just as curious as to where the road will go. For Hubbard, the process has been frustrating. “We’ve been told it’s the province. The province is saying it’s the Capital Regional Board but they have not permanently decided, so it’s Stantec that has decided where it’s going to go in this moment,” says Hubbard. An amendment was added to the bylaw stating that the contested road alignment was conceptual and subject to change and funding.